In hydraulic transmission system, all elements and mechanisms are in closed state, which is usually difficult to troubleshoot. The problems are many result from the damage of one element and stop to work. Sealing Part is the key point of protecting engineering elements and hydraulic system, so its reliability become the focus that engineers pay attention to. 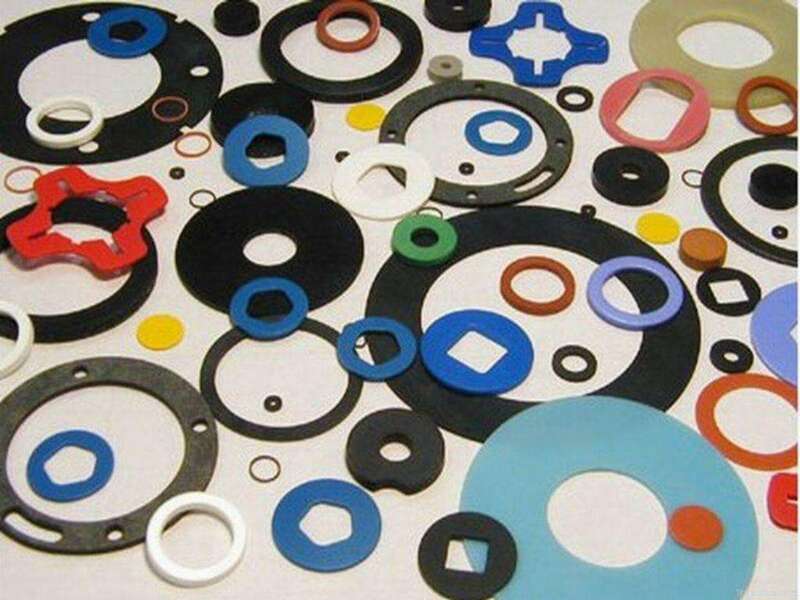 Contribute to the great performance of resistance to pressure and deformation, rubber material is always be selected as important sealing material to prevent leakage of pressure medium. So far, rubber sealing technology has widespread use in aviation, petro chemical and many other high and new tech industries. This request great ability of Rubber Sealing Parts to adapt various environments. To ensure the smooth operation of mechanical equipment, the design and development of Rubber Seals always need to be highly valued by technical staff. As many sealing failure issues occur result from wrong rubber material selected and formula designing, which finally lead to negative impact to engineer operation. 1.The form of sealing failure of Rubber Seals 1) Aging - as time goes on, the strength, the pressure and deformation resistance gradually decrease, rubber sealing products start to become harden and crack. 2) Abrasion - as rubber seals usually work in the machines turning around with axis, so its surface easy to have scratch, or even groove with different depth. 3) Damage - the lip of sealing component deform, which lead to surface damage, local fracture, and finally make the sealing lose its function. 4) Distortion - rubber seals are partial revers, protuberance or hollow. 5) Swell, part of the lip of sealing become soften, sticky or partial peel off. 2.The reason for sealing failure of rubber seals 1) Improper design Rubber seals mainly used in applications asked for high precision, so rubber formula and structure design is the precondition to ensure the sealing quality. 2) Improper assembly Force to assemble off size sealing rubber parts, will lead to final deformation and lose sealing function. 3) Incorrect selection of oil Oil has the closest connection with rubber seals. Incorrect oil will accelerate aging and deformation of rubber sealing products, and sedimentary oil will abrade rubber parts as well. 4) Pollution of oil According to standard use and maintaining way, oil need to do regular change. If oil is badly polluted, will cause rubber seals’ swell and deformation. 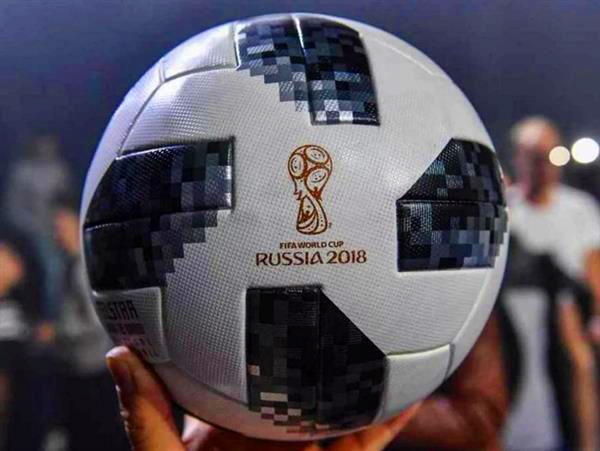 The new official soccer ball of the World Cup 2018 contains the bio-based EPDM rubber from ARLANXEO, one of the world’s leading suppliers of synthetic rubber. Its high-quality characteristics are identical to conventional EPDM rubber. The rubber with bio-based ethylene was extracted from sugarcane. According to Arlanxeo, the synthetic rubber serves as a mouldable cushion for the ball and supports optimal bounce characteristics during games. It is the world’s first EPDM rubber made from ethylene extracted from sugarcane. Depending on ethylene-content, the proportion of bio-based material ranges between 50-70%. EPDM is a synthetic rubber mainly composed by ethylene and propylene. 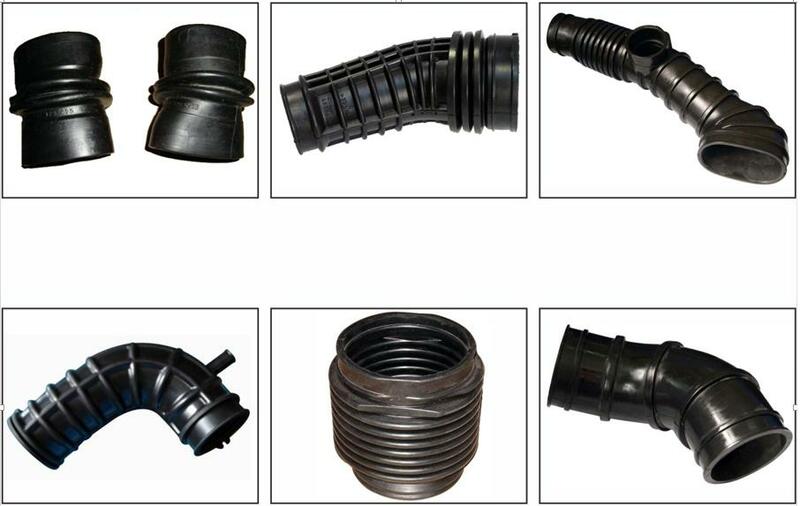 Result from the excellent chemical property, EPDM rubber parts are widely applied in Automotive Dust Proof and Sealing Parts, Vehicle Transmission System, building sealed waterproof material, Wiring Harness Grommet, Anti-Corruption Boots, Washers, Window Profile Sealing, Home Appliance Accessories, Heat Resistance Rubber Hoses, Electrical Insulation markets. EPDM is a relative low density rubber with low water absorption. It has great performance in water and water vapour resistance. Its operating rang is wide about -50℃-+150℃. Due to low molecular cohesion, the EPDM molecular chain is able to maintain its flexibility in a relative wide range. The conventional production method of EPDM is using crude oil as starting material, namely extract ethylene and propylene from crude oil to make raw material for production. Using this method, a large amount of fossil resource was consumed, and lead to the carbon dioxide emissions increase. ARLANXEO developed the the world’s first commercial EPDM produced from bio-based feedstock - KELTAN Eco 6950. The ethylene used in this process is derived from sugar cane. Bio-based content up to 70%, uncompromised quality, reduced dependence on fossil resources and reduced carbon footprint. Independent Life Cycle Assessments of Keltan Eco EPDM grades versus their equivalent Keltan EPDM product have shown that the CO2 emission is reduced by more than 50%. Bio-based EPDM is a high-tech material, also a revolutionary material, maintaining great elasticity, resilience and low-temperature property. The small word cup football always be a big stage for showing the latest developing idea and advanced technology of human being. We except the bio-based football create a new legend in 2018 soccer word cup. When assembling, some electronic components are of big size, they ask for rubber wire harness sleeve with good extension performance. Under this situation, in order to meet the assembling demand requested by cable assembly lines, the rubber wire harness boots need to be extended to 4-6times bigger to ensure the cables are easy to go through. The extensibility of the rubber wire harness sleeve mainly depend on the tensile strength and elongation of the rubber material it used. In this case, the right formula of rubber material is important to guarantee the final rubber wire harness boots are capable to meet customized cable assembly demand. The extruded hoses are cured by the special curved mandrel firstly, then they will be cut using the fixtrue to meet the drawing shape, so as to ensure the length and the end squareness meet the requirement of the drawings. Different rubber material has different property. We assist our customers to select the right material to apply on their idea design and used on the exact application. Sometimes, we see white stuff on surface of Rubber Hoses, Molded Rubber Products etc.. Actually, it is one kind of migrations of solid or liquid materials/substances used in rubber compounding. It is commonly referred to as blooming. Rubber blooming is primarily a solubility issue. Ingredients bloom when they're in the compound beyond their solubility limit. Almost all ingredients which are soluble in rubber possess the capacity to bloom: sulfur, selenium, many accelerators, antioxidants, organic pigments, fatty acids and so on. It occurs may result from the change of temperature, bad storage, the sulfur is too much when mixing or not enough curing when molding, etc. Rubber bloom does not affect the quality of a rubber product. But If the white dust is undesired for appearance reasons, it can be washed off in light mineral oil/solvent. The incidence of bloom may be reduced under good storage including shielding parts from fluorescent light. In some case, blooming proves useful. Some antiozonants are designed to bloom to protect the surface of rubber products from ozone or UV. In some applications involving molded rubber products, fabricated rubber parts appeared bloom are actually easier to install because of the lubricating presence of bloom. The lubricant is added when the elastomeric compound is initially mixed to reduce friction. By design, the added friction-reducing agent will not be chemically compatible with the base elastomer in the curing process and migrates to the surface. 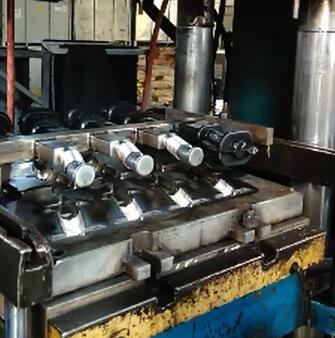 The blooming of the agent keeps the external of rubber parts coated with lubricant and slippery. Goodyou Elastomer produce a wide range of Rubber Products including Rubber Extrusions, Injection and Molded rubber parts. All the elastomeric products are widely applied in the fields of auto accessories, auto parts replacement markets, power/engine systems,garden machines, and variety kinds of industrial machines, etc. For more information of custom made rubber products, welcome to contact with our sales team at sales@xmgoodyou.com. As the first step of rubber parts manufacture,also the most important process of technic, the mixing line was composed of close mixing,open mixing,automatic weighting system and cooling system. Kinds of raw material are mixed in turn according to the formula of rubber compounds and the SOP of mixing. Every batch of compounded rubber will be tested and judged before doing next process. Extrusion process include extruding, vulcanizing, cutting and cleaning. We select the right rubber raw material and design customized formula to meet different application environment. This process is mainly used on producing oil hoses, air hoses and water hoses. The size of the hoses is available from 2mm to 100mm. The hose extrusion process include extruding and curing formed by mandrel. 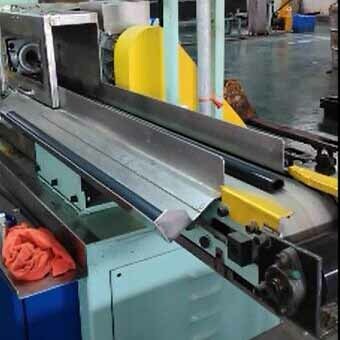 The mandrel is designed according to customer's drawing, and then be used curing vulcanization. 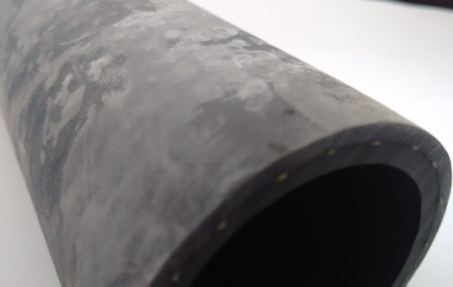 For the rubber hose which require to keep higher pressure, we normally add a reinforcement layer in the middle to ensure the burst pression reach 3Mpa-10Mpa. 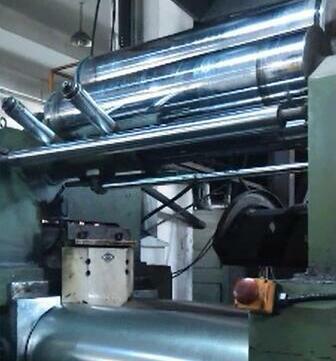 Molding process consist of compression and injection, normally using 200t-500t machines. According to customer's demand, we design 3D drawing and make the mold based on it. Definitely, the drawing need to be approved by customer in advance. Meanwhile, the different shrinkage ratio of rubber material will be taken into account when designing the dimension of the mold. Finally, based on the different rubber material property, relative temperature and compression will be set on the machines as well as the valcanation time to do the compression or injecton process.